Looking for a healthy snack idea. 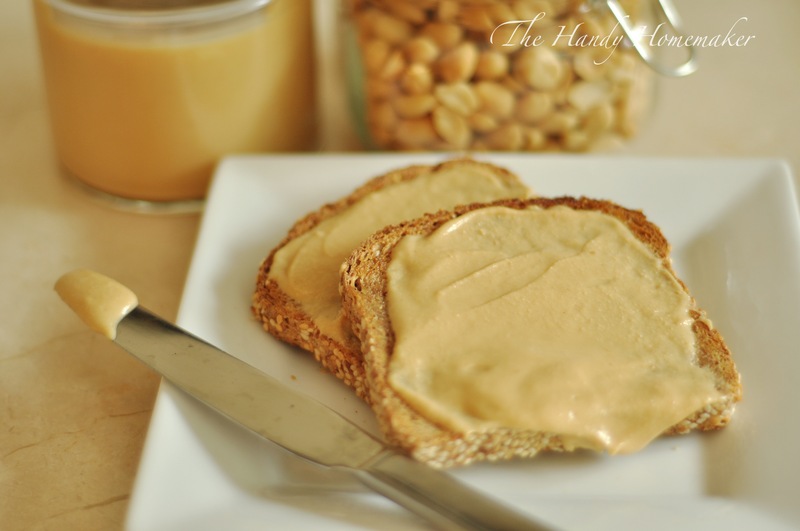 How about a slice of toast, a few apple slices or a celery and raisin log smothered in homemade peanut butter. 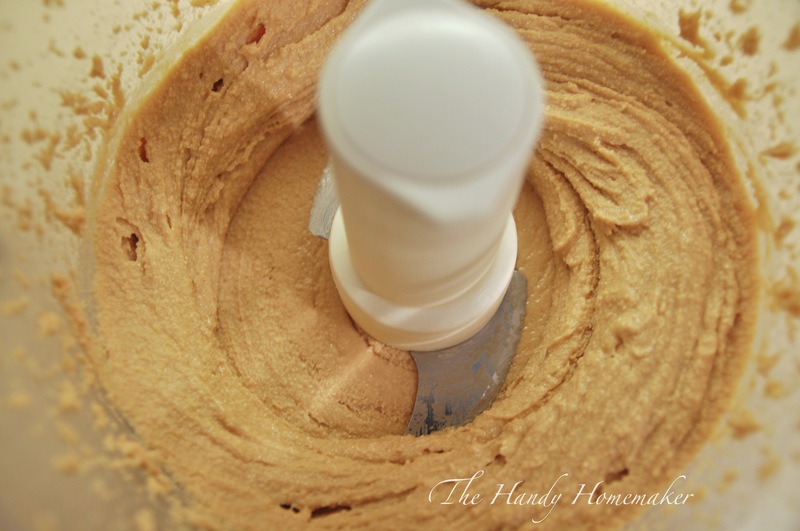 Peanut butter is one of the easiest things you can make at home that needs no additives. Peanuts…. that’s it. No other ingredient is required. 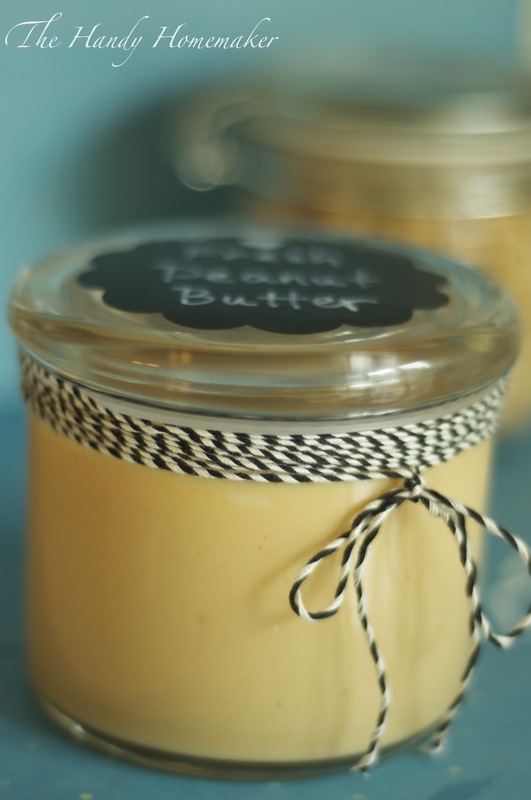 My family loves the taste of fresh peanut butter over store-bought. 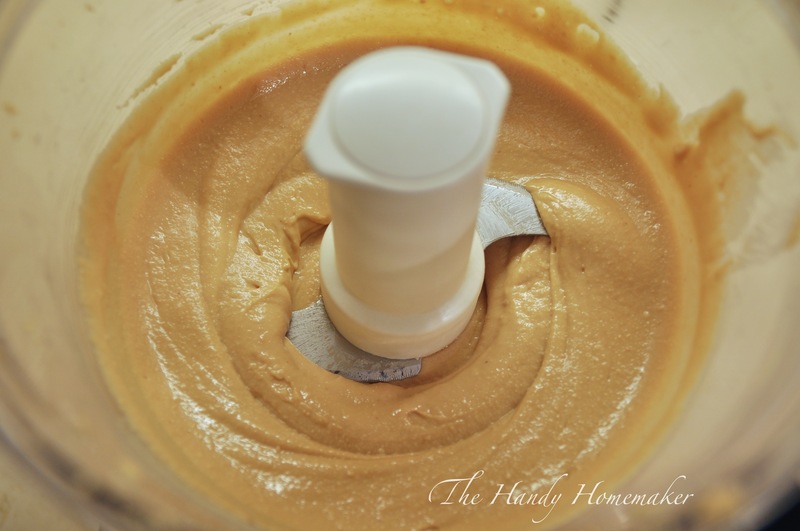 I first tried making peanut butter when I was a teenager. 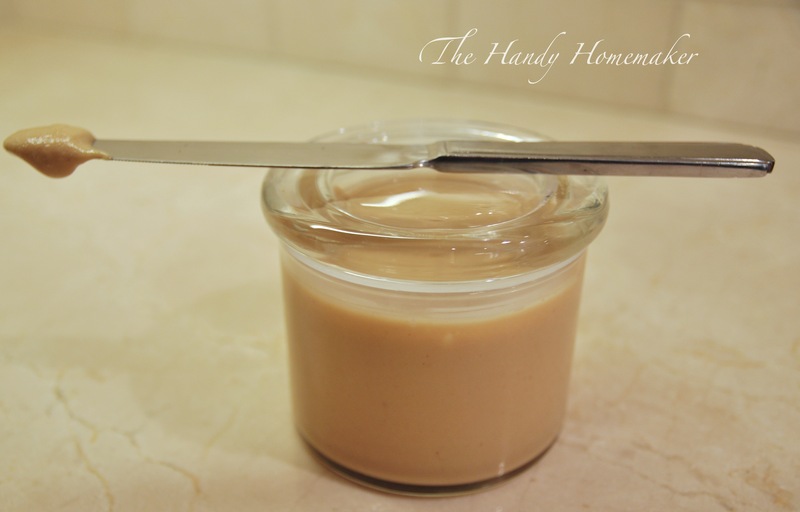 I remembered an elementary school class in which we learned how to make peanut butter soup of all things. 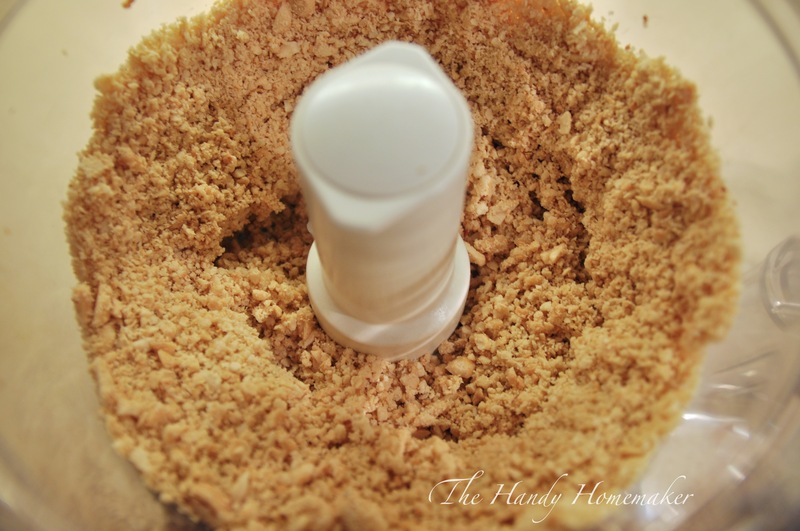 I remembered my teacher stating “Peanut butter is just ground up peanuts”. In a house with four children you can run out of peanut butter very quickly. Realizing I would now have to come up with another lunch snack for my siblings, I scoured the cupboards. 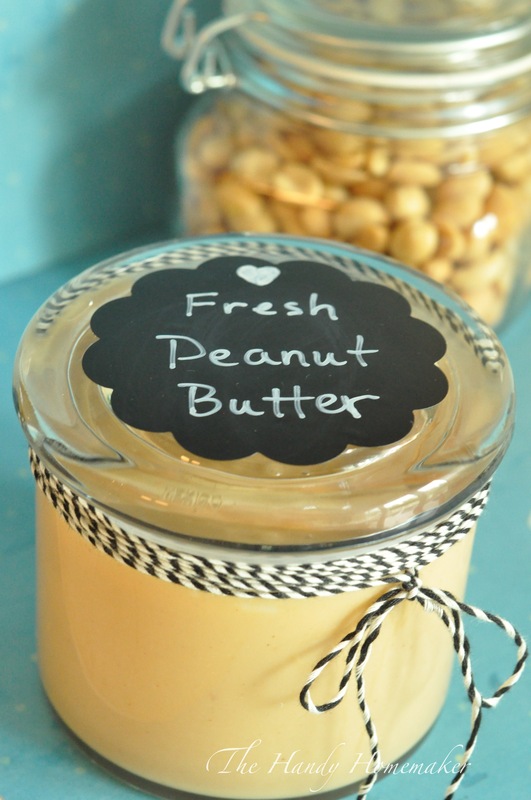 I saw the can of peanuts, and like a lightbulb the peanut butter soup class popped into my head. 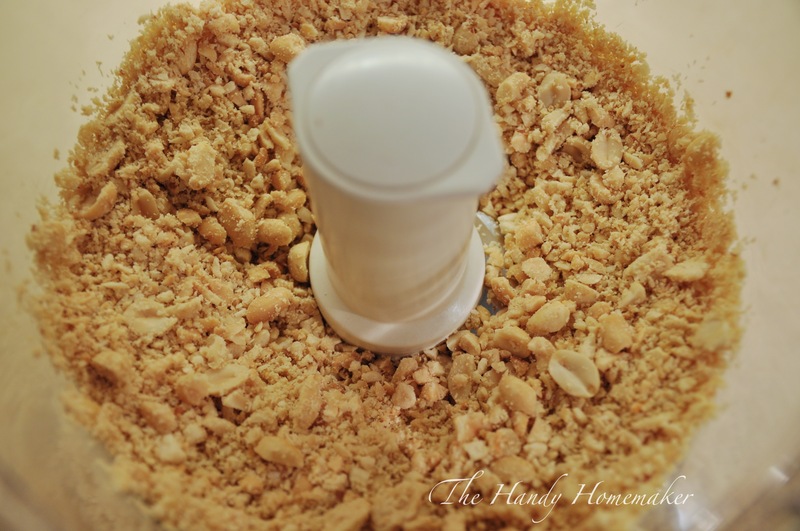 I poured the jar of roasted salted peanuts in a blender and pulsed until I got what resembled crunchy peanut butter. I was quite happy for my first attempt however, it was a little dry (I didn’t blend it long enough) and quite salty (I poured the entire contents of the tin in the blender, extra salt and all) The next time, I used unsalted peanuts and added a little salt and sugar and blended until the natural peanut oils released from the peanuts. 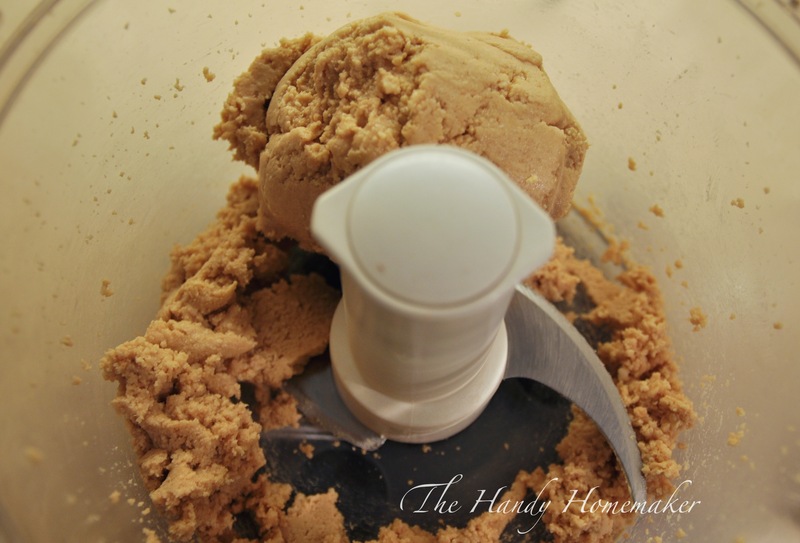 In my grown up version I eliminate the sugar and only add a pinch or two of salt and I use a food processor. 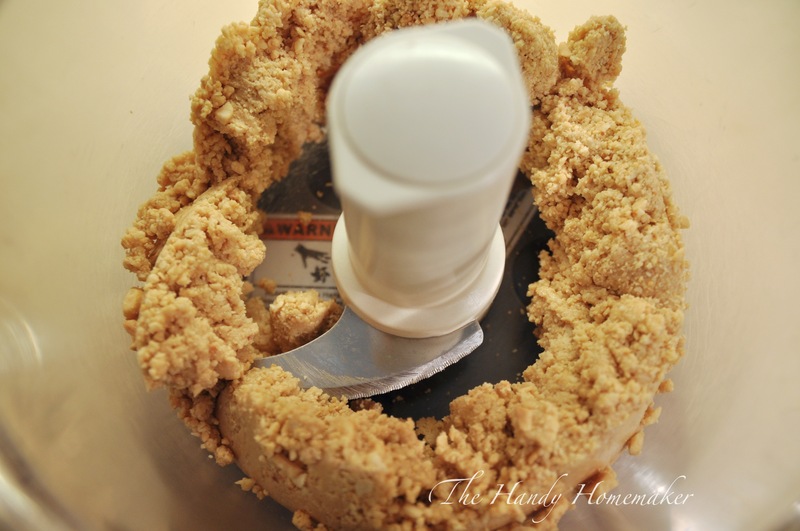 Set up the food processor with blade attachment. 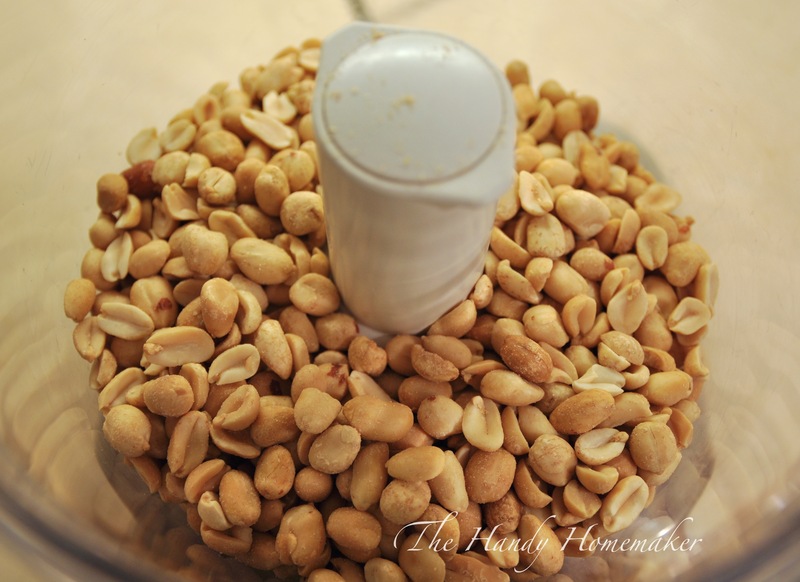 Place peanuts and optional ingredients in the food processor. Every 30 seconds I took a picture of what it will look like. 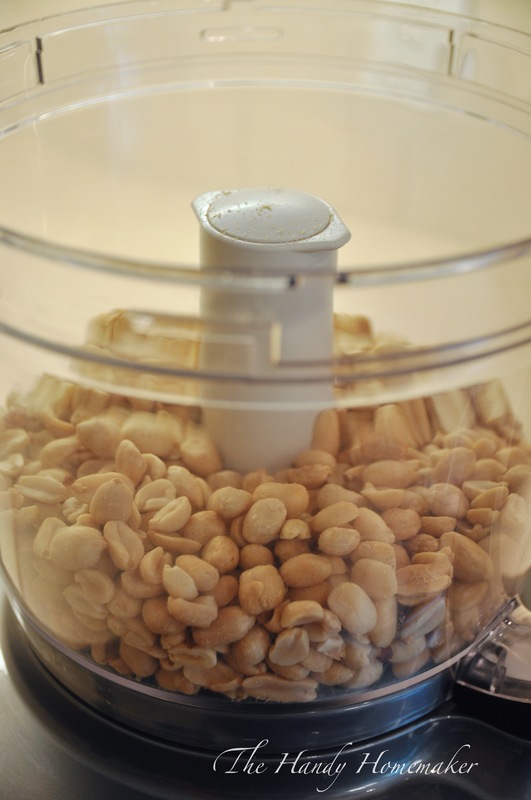 Turn on the processor and let it go to work pureeing the peanuts for 3-4 minutes. The peanuts will start to cluster together. Don’t panic, your on the right track. Keep going…. 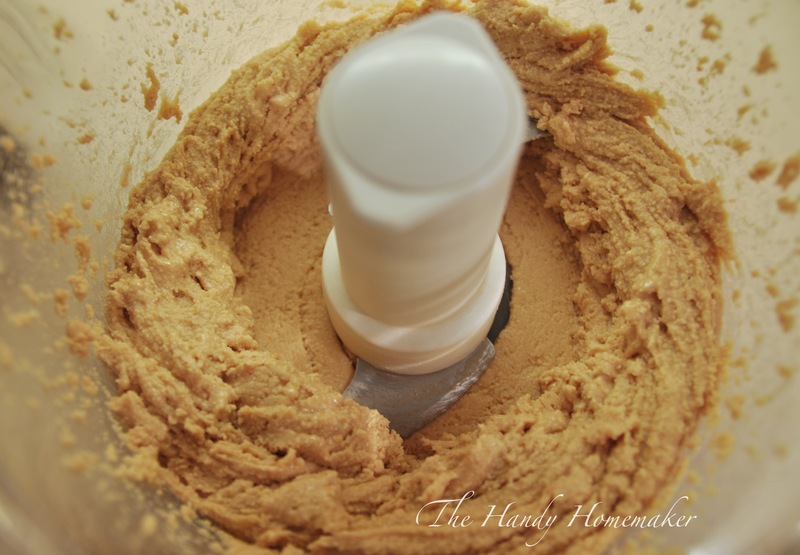 stopping here doesn’t make chunky peanut butter only dry thick peanut butter. The oils have released so stop the processor and scrape down the sides with a spatula. Process for another 30 seconds. 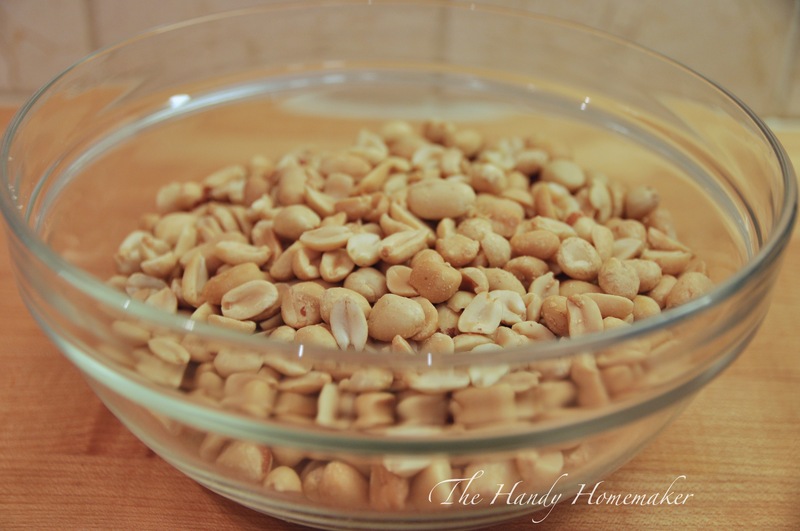 If you want to make chunky peanut butter finely mince 1/2 cup roasted peanuts and stir into the peanut butter until combined evenly. It will be very soft at this stage. 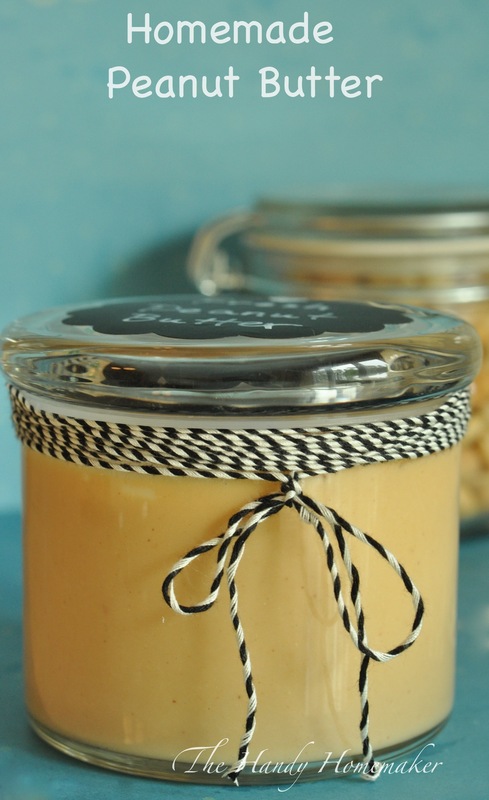 Peanut butter can be stored at room temperature, I prefer to keep it in the refrigerator and it will be the texture of store-bought peanut butter. Fresh taste and smells delicious. Yum! 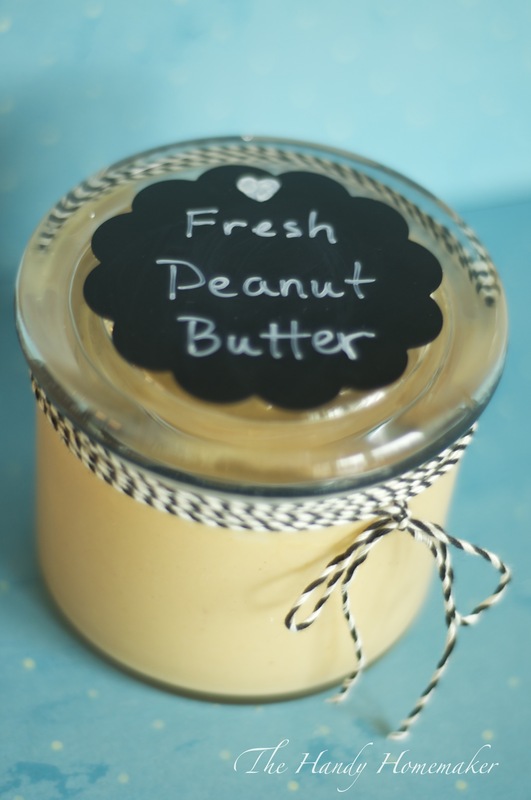 Add a chalkboard label and ribbon to the jar and makes a perfect gift. Fantastic way to teach children where their food comes from. Looking for a chocolate peanut butter? 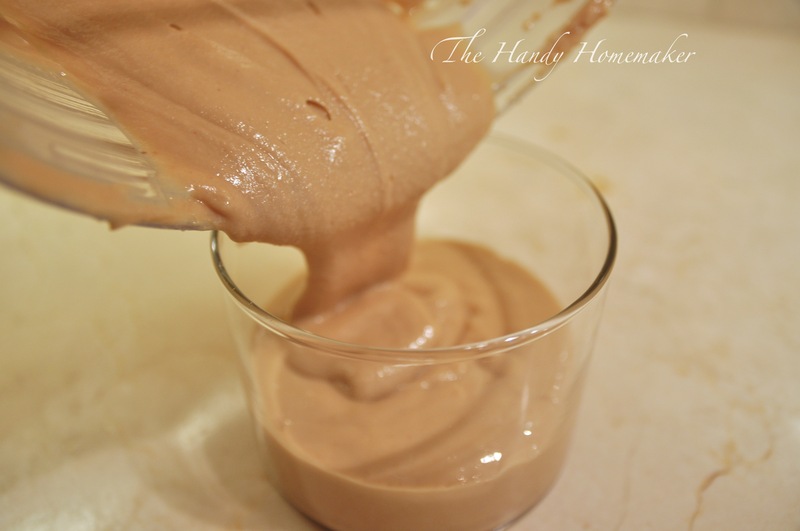 Depending on how sweet or chocolate you desire add 1-2 cups (start with 1 cup) of good quality chocolate chips gradually once you have pureed the peanuts. The heat from the blades will incorporate the chocolate evenly into a chocolate peanut spread. For a Nutella style spread, use hazelnuts in place of peanuts and add the chocolate. I am going to give this a try you make it look easy and yummy. Thanks for all your awesome recipes and ideas.